Cinzano Bianco is off-dry and an inviting pale yellow. The flavours are vibrant and alive with notes aromatic herbs. It's round, carefree and tempting. Serving suggestion: Always serve chilled. 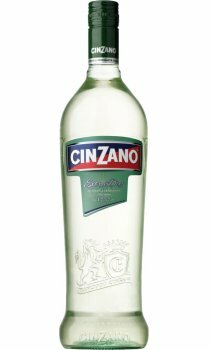 Cinzano Extra Dry is the perfect base for some of the world's most famous cocktails. it is ideal with gin or vodka, but equally delicious with non-alcoholic mixers.